Stampin Up Punches in the retiring list 2014 - 2015 ♥ 50% off get them before they're gone! Hello, I'm very excited to receive and share big news from Stampin' Up! today. 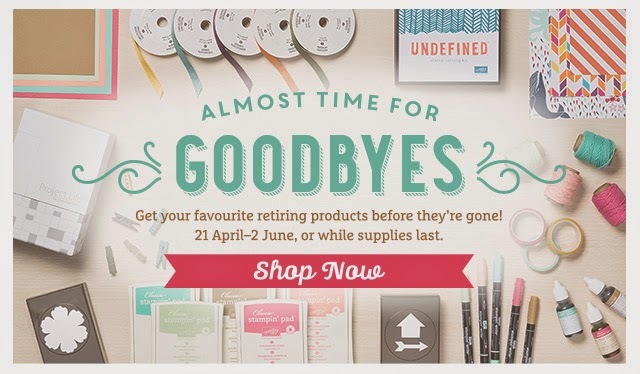 I just saw the retiring list with some of my favorite Stampin Up punches at amazing prices. The company just launched today the "product retiring list" which is a long list with the products available in the Catalogue 2014 -2015 that will be retired in June 2 - 2015 when the new Catalogue will be online. The products in that list won't be available to buy after launching he new catalogue . There are over 600 products in the list, the punches are just one of my favorite things so I thought would be a great idea to share this post. There are inks, embellishments, markers, paper, dies and many other tools too . I'm excited and counting the days to see the new stamps, tools and accessories that Stampin' Up! will offer and for now I'm enjoying from the Clearance Rack and the promos available. 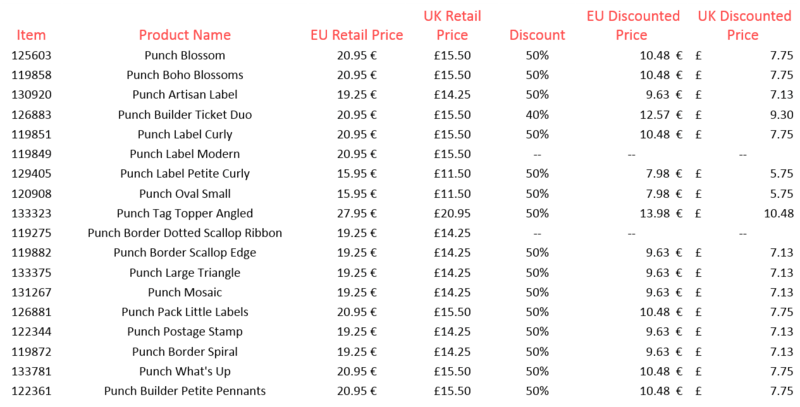 Have a look of the price of the punches in the chart below . click here to order or check products at the bottom of this post..